I love water. I love the taste of water. (Yes, it has a taste!) But sometimes, I want to change it up. Water enhancers/flavorings have been around for years, but I steered clear of them because of the ingredient list. Generally speaking, I try to avoid anything with aspartame or artificial sweeteners. It wasn't until SweetLeaf came out with their own sweetener that I considered using anything like it. We first used SweetLeaf powdered stevia about 2.5 years ago when we started to reevaluate our eating habits at home. It even appeared on the blog before! We are big fans of stevia in this house. I was (a little too) excited to try Sweet Drops! For starters, it's really fun to receive something to review on the blog that I am genuinely interested in. Also, it may be the female in me, but miniature-sized anything always seems like a good idea, "because I can just throw it in my purse." Easy. I like easy. So here's the deal. These drops are pretty much awesome. It's stevia, not sugar. It's organic. 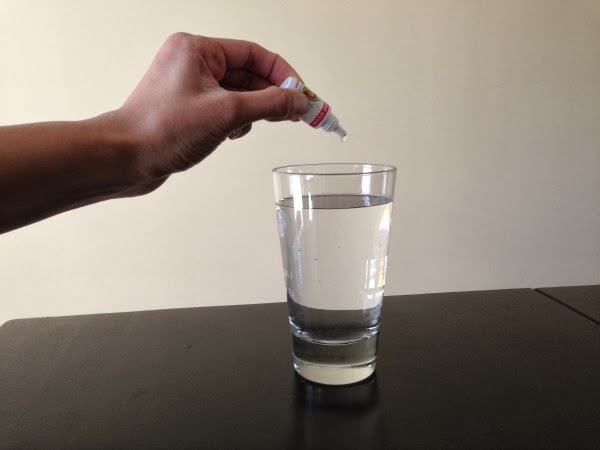 I can sweeten/flavor my water as much or as little as I want. SweetLeaf has a boat load of flavors to choose from. Out of my samples, I was least excited about Lemon Lime, because I've had plenty of lemon water in my day. It didn't stand out to me, but I really liked Peach Mango (my favorite), Watermelon, and Raspberry Lemonade. And just as my female brain said, it's easy to keep on hand. That is a whole lot of winning in my book. I want to try Hazelnut and Vanilla Crème next! 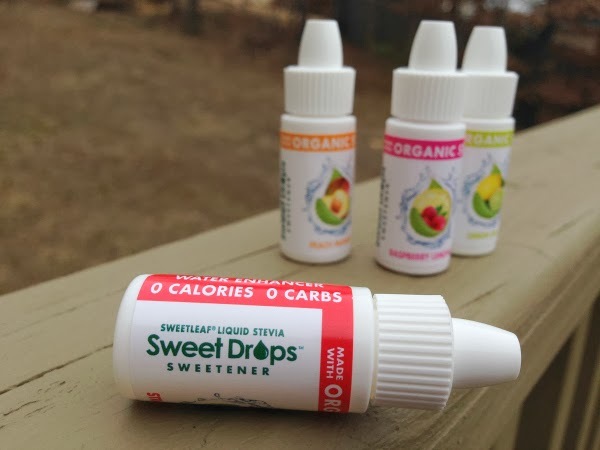 Have you tried Sweet Drops yet? 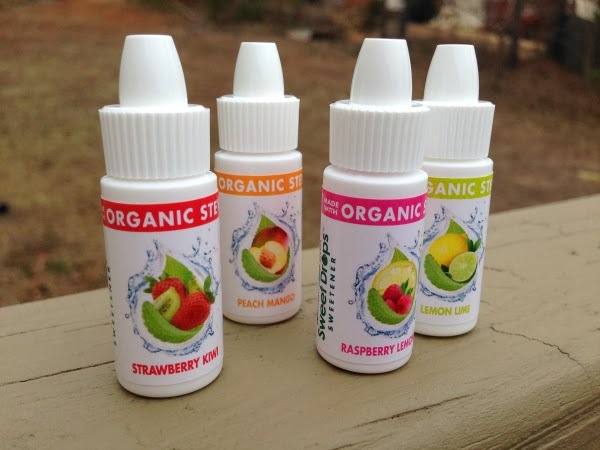 Which flavors did you try? 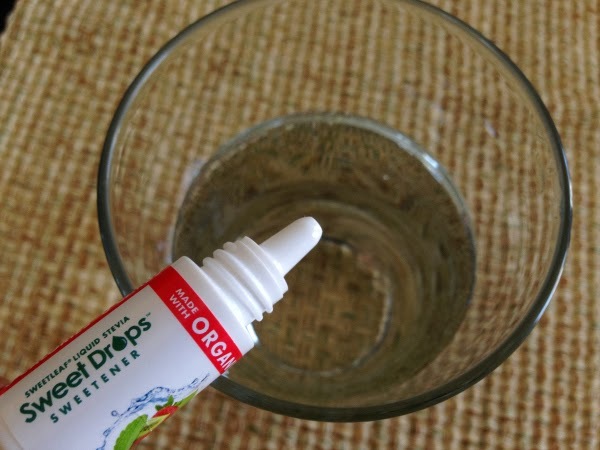 I had some stevia drops before and they are awesome! I like the idea of the fruit flavors for water! Yum! I don't care to drink plain water. It's got to fizz or have a light flavor. I currently use Crystal Light, but have a difficult time tearing the tiny package open. The Sweet Drops packaging makes more sense to me, and I can't wait to try the different flavors!